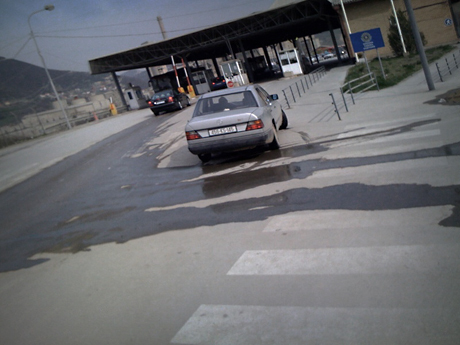 This odd little photo is a reminder of my border crossing into Kosovo (Kosovë) on 7 April, 2009. It is a little askew because I took this photo surreptitiously with my iPhone in the buffer zone between the Macedonia border checkpoint and the Kosovo checkpoint. Usually photos are “not encouraged” at border crossings, but I wanted a memento. I had not prearranged an excursion into Kosovo for this European trip, but had hoped to arrange something while I was in Skopje (Macedonia). I have an interest in this area and its history, and AMPP is beginning to assemble stories of Christian work in Muslim areas (as well as Hindu cultures). Cultures that are unfriendly toward Christianity, I believe, will greatly influence Christian mission work in this century and this cultural/religious interaction needs to be explored. While in Skopje, I asked my contacts there if they knew people in Kosovo who would be willing to share the story of their work. They put me in contact with some missionaries who were working in Priština. However, I had to go it alone for this excursion. So, early Tuesday morning I was picked up by a taxi at my hotel in Skopje and dropped of 40 minutes later at the border crossing. My contact, whom I had never met, was to pick me up once I made it through the Kosovo border checkpoint and drive me to Priština. I took the above photo because I knew the history of the thousands of ethnic Albanians who fled from Serbian forces ten years prior to my crossing. 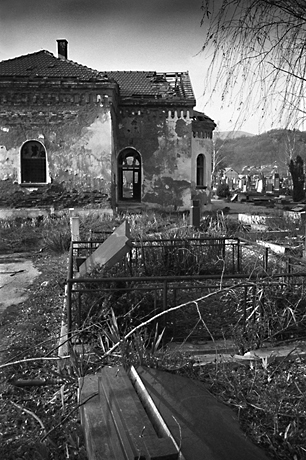 10,000 never made it to safety in Albania or Macedonia. After entering into Kosovo I found that evidence of the war is not so easy to discover with the rebuilding of the homes and infrastructure over the last ten years. 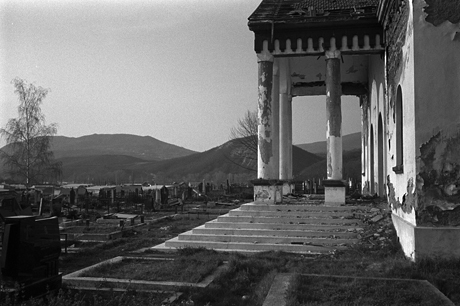 It is much easier to find it in the voices of the Albanians who returned to Kosovo after the war. 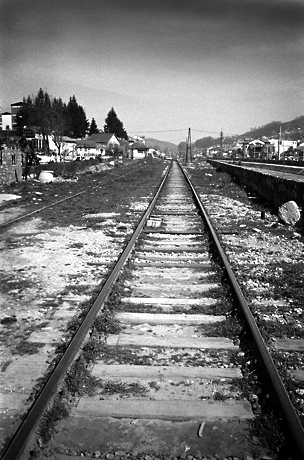 While standing at the midpoint of the barbed-wire entangled bridge that spans the Ibar River to join the two halves of of Mitrovicë, I asked my driver/guide when he thought that the U.N. peace-keepers would be able to leave. He turned to look me in the eye as he said, “Never. If the U.N. leaves there will be war.” At present there is a great opportunity for mission work in this Muslim country because of the great gratitude the Albanians feel toward the U.S.A. for bringing an end to the atrocities that defined the 1998-1999 war. Will this amity endure? Not likely.